Discussion in 'RAIDers League' started by kauffmann, Jun 1, 2012. 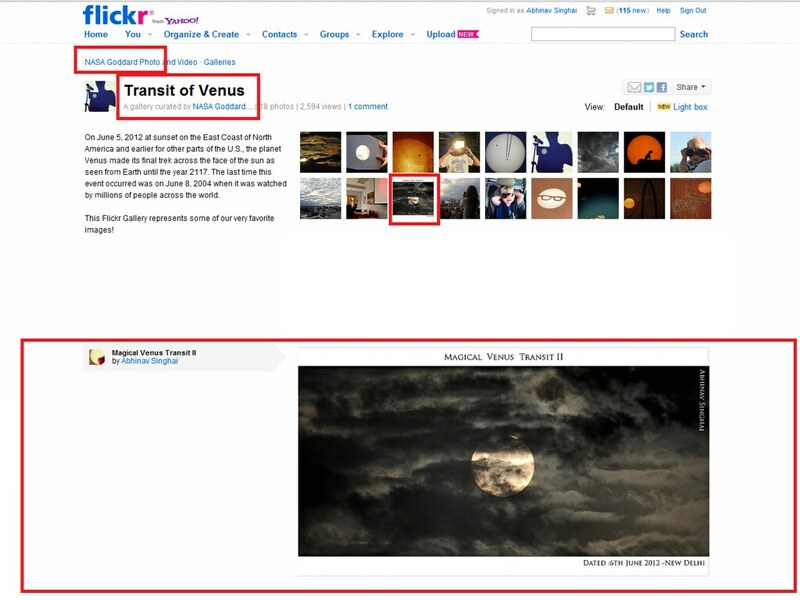 Anyone want to see the venus transit at the Nehru Planetarium? I'm not sure if they're organising something, but if someone knows about it could they post back? And if they are, would anyone like to go? Whats happening exactly??? 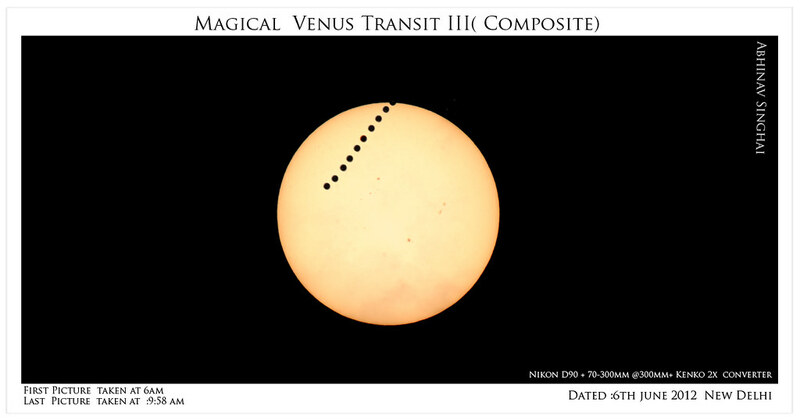 Venus between the Earth and the sun??? 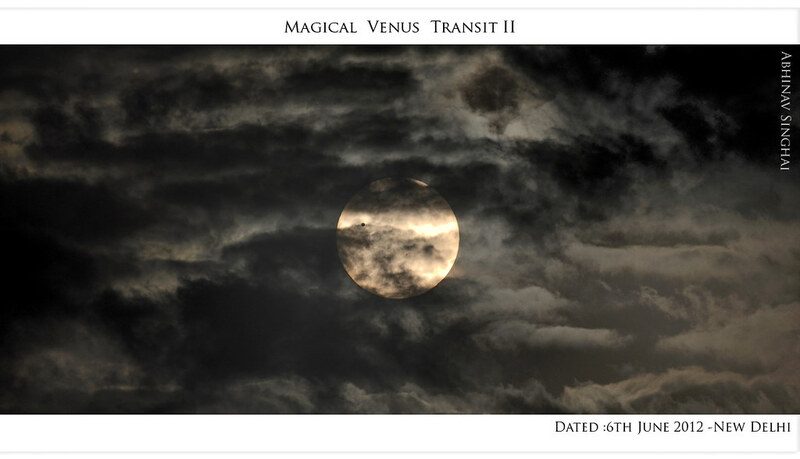 My Venus is transiting !! She didn't tell me that !! kauffmann, I think it would be good thing to watch, when is it? I will check if our planetarium is organising something here ! Watch the Venus transit live from Leh, the world's highest observatory. A wonderful initiative by the Indian astronomers. Even though the cloud cover has spoiled the show, keep tuned in, it might clear eventually(though I highly suspect there's a fat chance of that happening). Till then, enjoy the beauty of Leh, panoramic view of the mountains, listen to the live commentary of the astronomers and enjoy their casual chatter. PS: I can't stop laughing at the preview thumbnaill! Indian X-files unveiled, the truth is out there ta-da-da-dun! Now I'm off to find my Scully. The thumbnail preview was of a UFO hovering over a field with "I want to believe" written on it. ManISinJpr, harryneopotter and JD666 like this. one of them is our own Abhinav Singhai. It is his copyrighted image and I think he won't mind me sharing it here !! Yes, he does take good pictures on such occasions. BkrevWlevqe, JD666, ManISinJpr and 2 others like this. Hey puleezee can i haz that first pic with all the clouds in the highest resolution you got?. Stuge and ManISinJpr like this. Share your images Stuge.. we are not plagiarists !! Stuge and harryneopotter like this. are you in mumbai...I am pretty sure the astronomy club khagol mandal mst have had an observation...too bad I missed it. Nope, I live in Delhi. My god, Stuge man you are simply awesome......but are you??? .......Your pics definitely are.....mind blowing. You definitely deserve all the accolades and far more. harryneopotter and ManISinJpr like this.